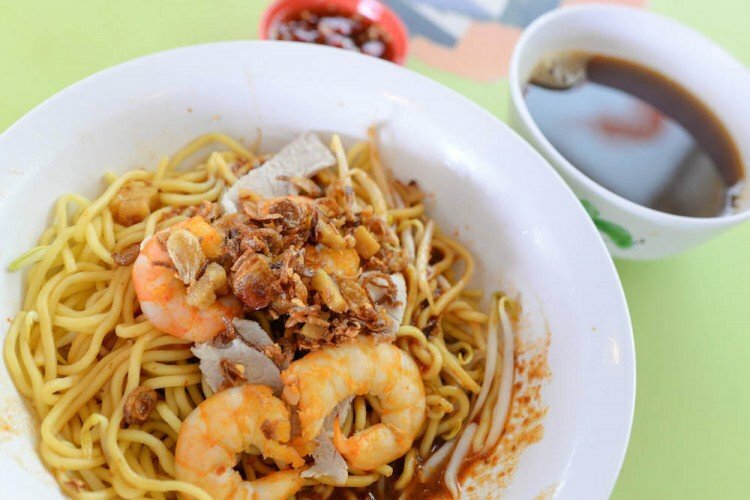 Growing up, prawn noodles has always been one of my favourite hawker foods, so I was more than excited to be doing a guide on the best prawn noodles in Singapore. It’s important not to confuse this soup-based prawn noodle with Hokkien prawn mee though, which we have also written about. 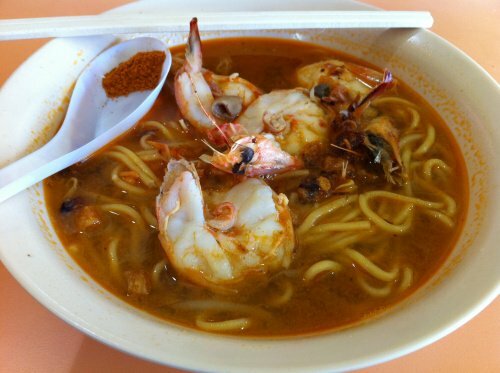 After so many prawn noodles however, I might just keep away from it from awhile after eating so much of it in a week. Fret not, I will be back soon after to savour this much-loved childhood dish once I get over my trauma. 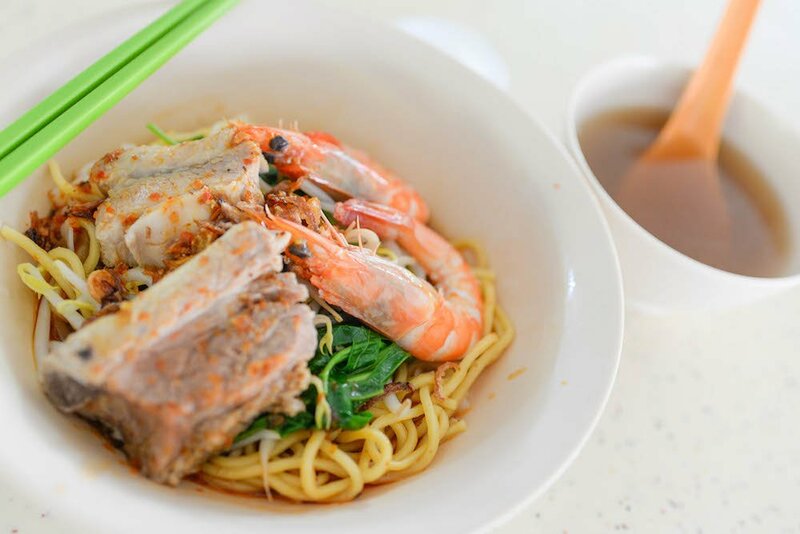 There are three to four components to a Singaporean prawn noodle – the noodles, soup, prawns and pork meat; the last one varying from stall to stall with some opting for pork ribs. While this dish is traditionally eaten with the noodles in the soup, I tasted mainly dry versions so I could try both the soup and the sauces that went with the noodles separately so I could distinguish each component better. 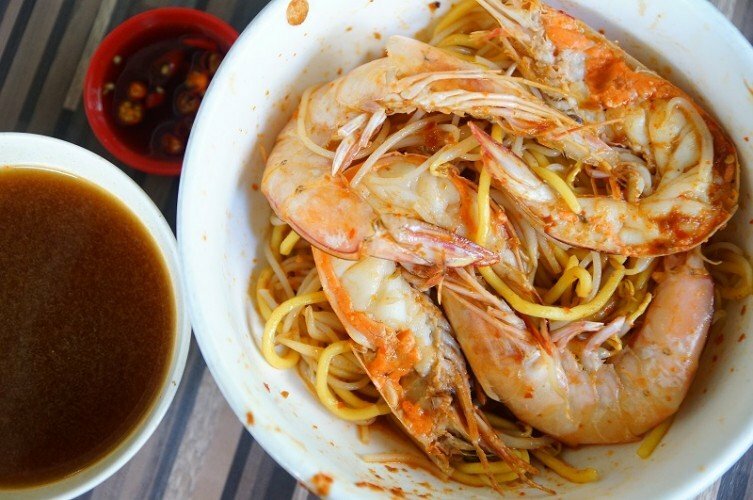 Here are my top prawn noodle picks! This stall is dubbed by many as the one serving the best prawn noodles in Singapore. I was there on a weekday even before it was opened and yet there were already people waiting for their turn. We got the $3 and $5 bowls, and the soup seemed a bit lacking in flavour, when compared to the other ones I have eaten on the list. The prawns were fresh though, and the noodles flavourful with the sauces and chilli. 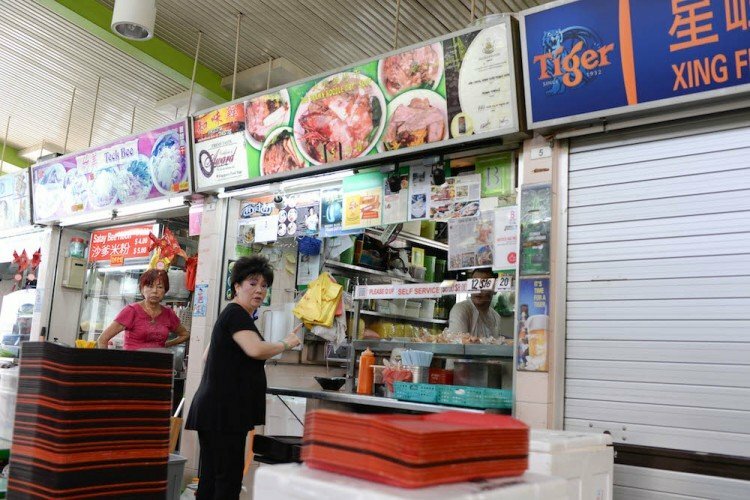 Not the best for me, but probably one of the better ones in Singapore. 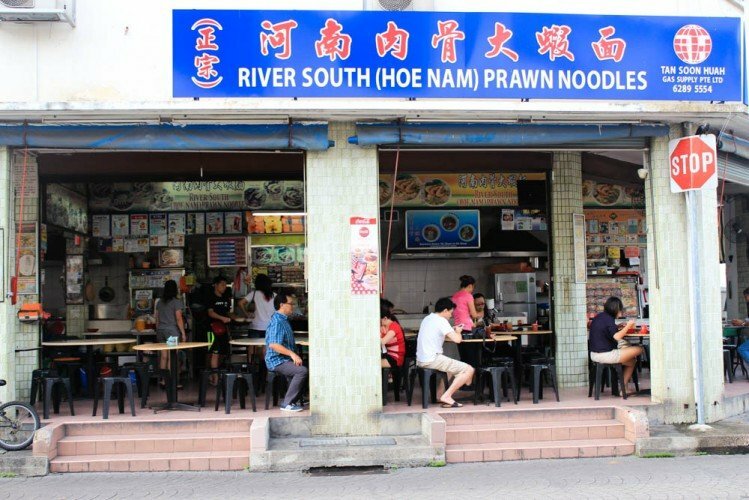 A strong contender for the top prawn noodle dish in Singapore, Hoe Nam occupies an entire coffee shop space on its own in order to cater for its number of customers. Be prepared to wait, even after lunch hours. If you are hungry, start off with their fishcake, which is quite popular as well. 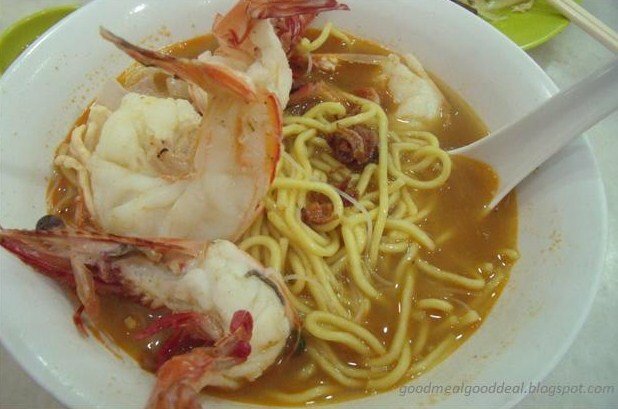 The prawn noodle soup is, of course, still the star of the show. 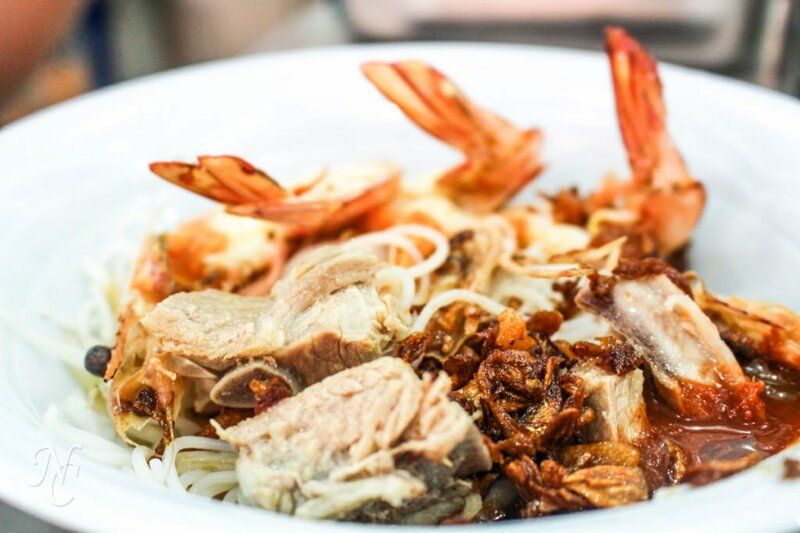 With the intense broth, packed with umami prawn flavour, fresh prawns and fall off the bone pork ribs; what more could I ask for? 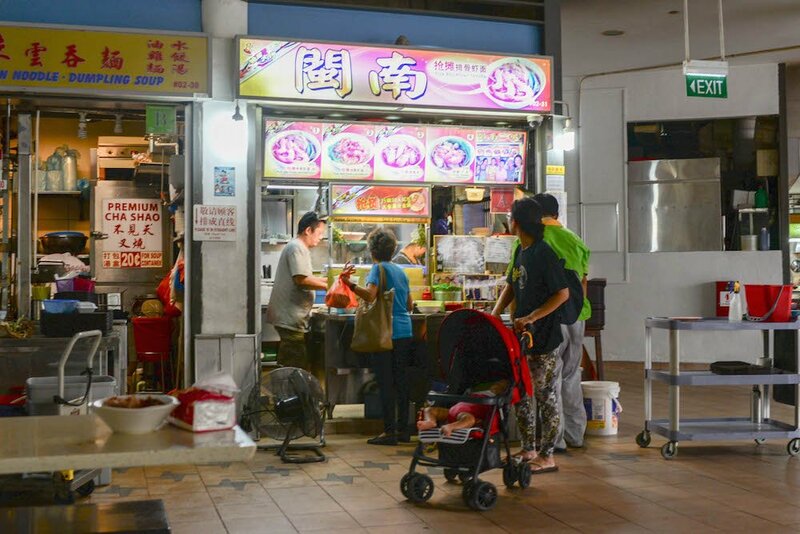 This is yet another stall for which I would willingly travel to the East for, albeit while continuously grumbling on why all the good prawn noodles are mainly in the East. 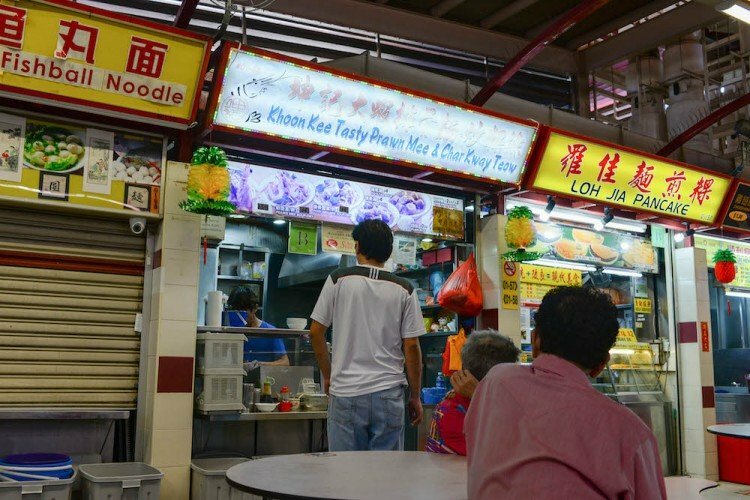 Operating since 1963, this long time stall seasons their dry noodles with shallot oil, so if you love the fragrance of shallots it would be good to order the dry version for a more robust experience. 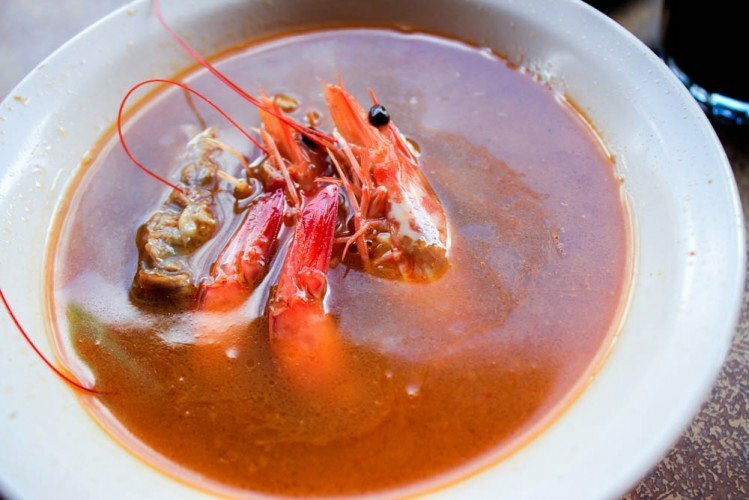 The prawns are sweet, succulent and the soup red, rich and full of umami goodness. 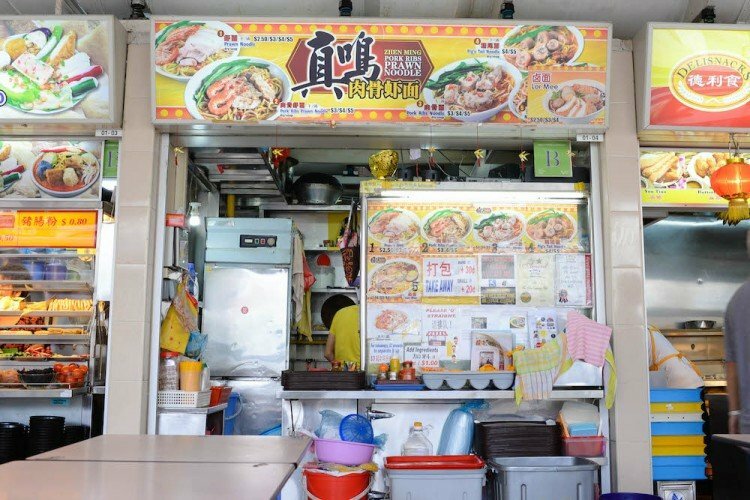 Unlike many other popular hawker stores, this one is open most of the day, so even if you are craving for some prawn noodles on a weekday you can get them after office hours. The noodles were coated well with the tasty sambal chili and had a nice crunch with the beansprouts. This place is packed during lunch, with filled with office workers on their lunch breaks. Still service is quite quick, probably as a result of the intimidating auntie who takes the orders quite curtly. Still, I cannot complain because I was pretty pleased that I did not wait for too long to have my bowl despite the crowd. 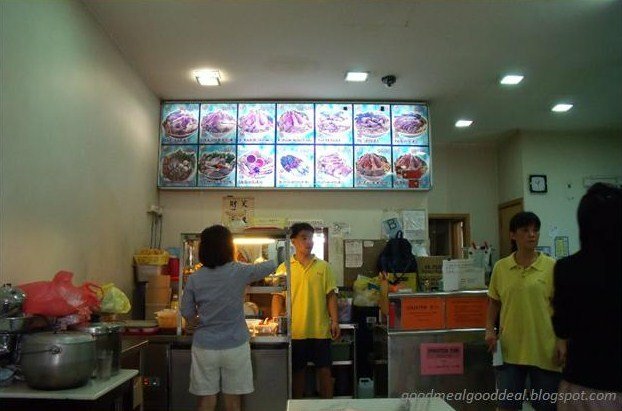 The noodles were decent, and their soup was robust and flavourful. The only thing is that the portion is quite small for the price so prepare to order and spend a little more here. Supper goers rejoice, for here is yet another place where you can gather for a late night snack. Hock Prawn Mee is open 24 hours everyday except on Sundays. 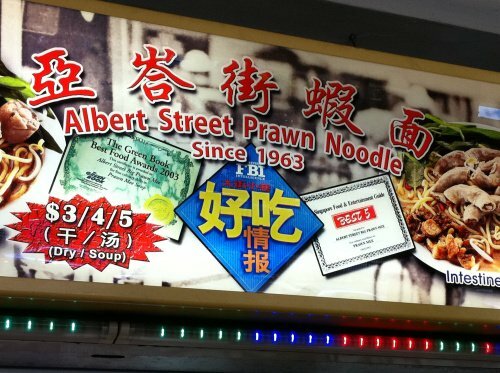 We found the noodles to be alright, if a little oily, the prawns nice and fresh; but the soup was the highlight. It was extremely flavourful with a good balance of both sweet and savoury. Lesson learnt: Get the soup version when I eat here. 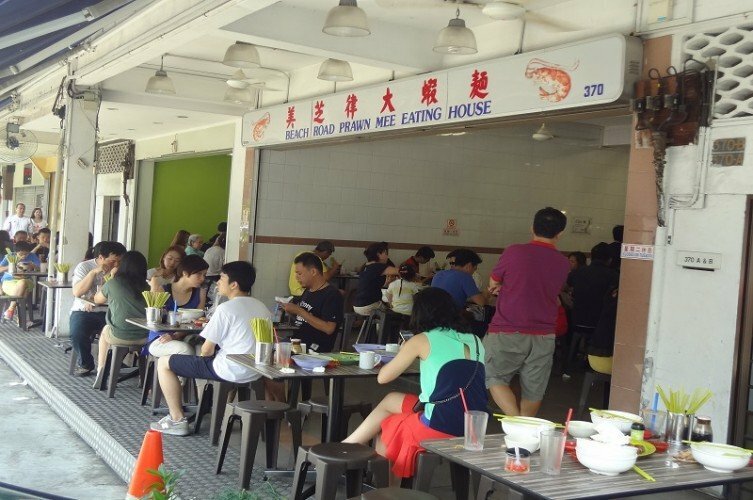 This place is well known among the general public for good prawn noodles, probably much more than most places on the list. 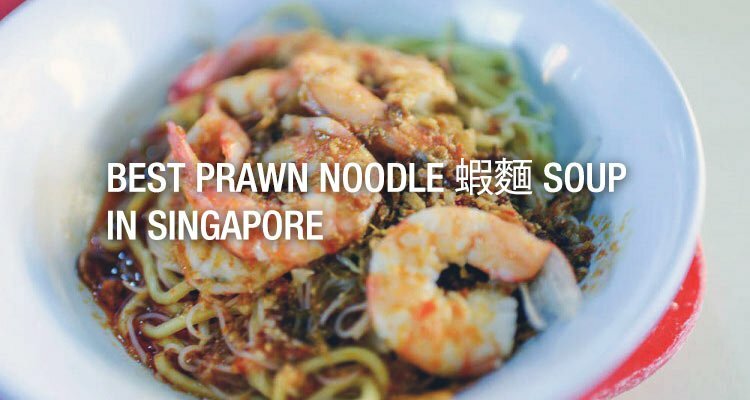 Just ask anyone where to eat good prawn noodles in Singapore and you will find out that about eighty per cent of the time you get the same answer – at Beach Road. And it is for a good reason too. 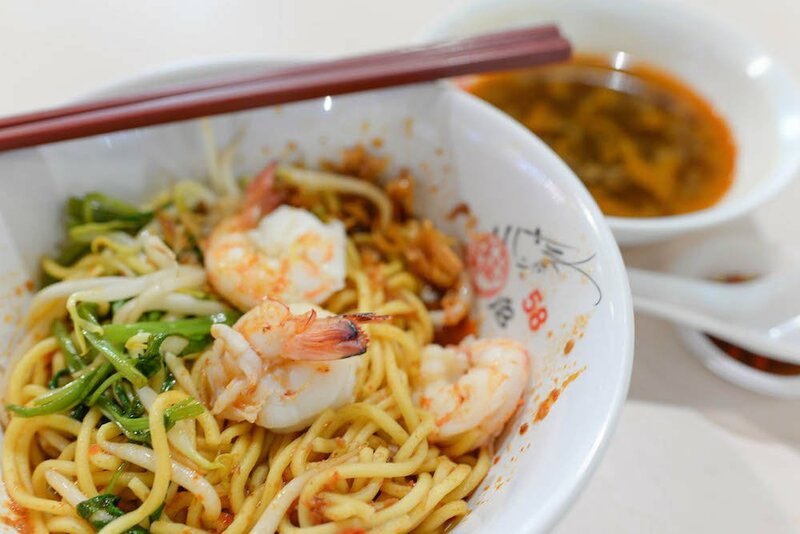 The noodles are cooked just right, with a bite to them like Chinese al dente, and the soup is naturally sweet, not overly fishy or salty and very well balanced. 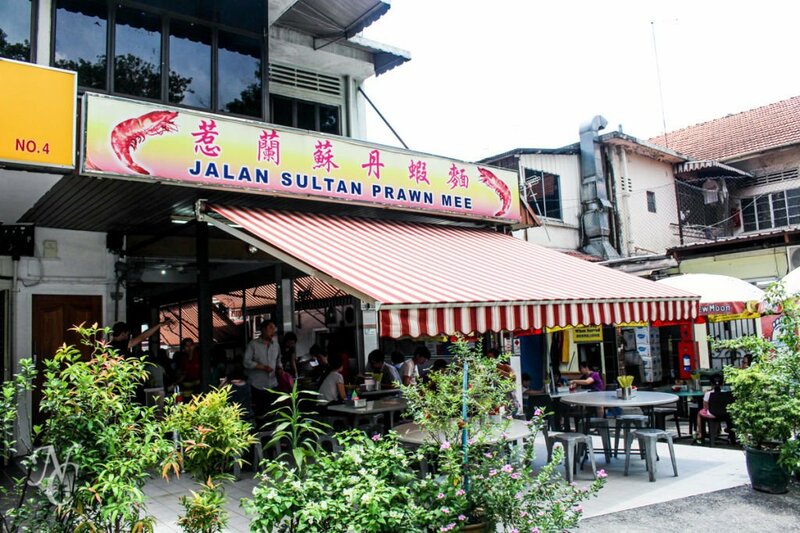 The prawns are fresh and sweet. More than that, the crowd is proof of how good it is. Enough said. I liked that when I finished my bowl of noodles there was no puddle of oil at the bottom. Despite that the noodles were fragrant and tasty, thanks to the inclusion of pork lard, fried shallots and the sambal chilli. 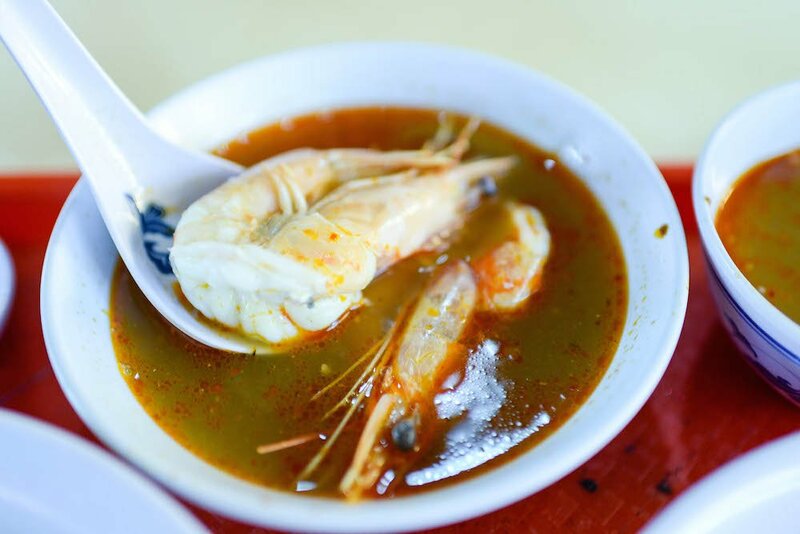 The soup, was quite delightful and full of prawn flavour, yet did not make me feel thirsty after drinking it. Plus points for the bright looking prawns which were de-shelled, halved and cleaned! 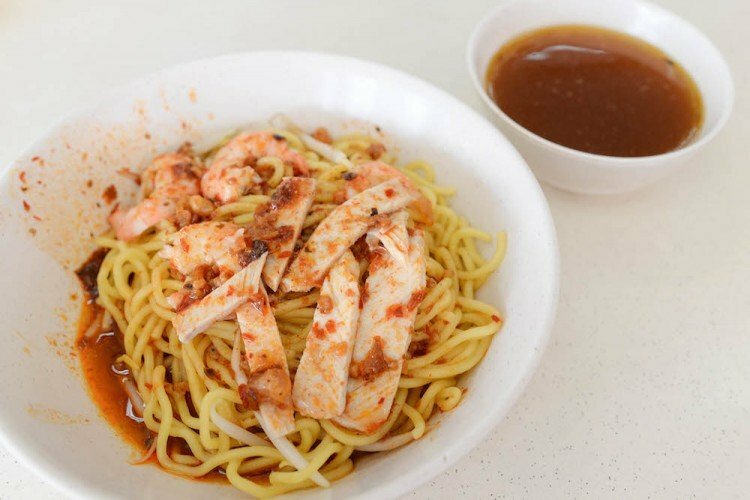 I find that many of my friends love eating tasty, really savoury stuff, dishes that have a lot of flavour like char kway teow and laksa. 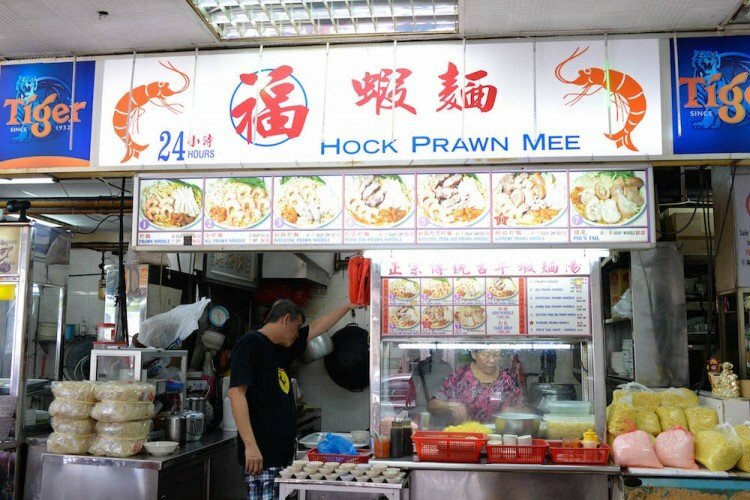 If you are like them as well, I would recommend this prawn noodles shop, which can tend to have a strong, flavourful broth. 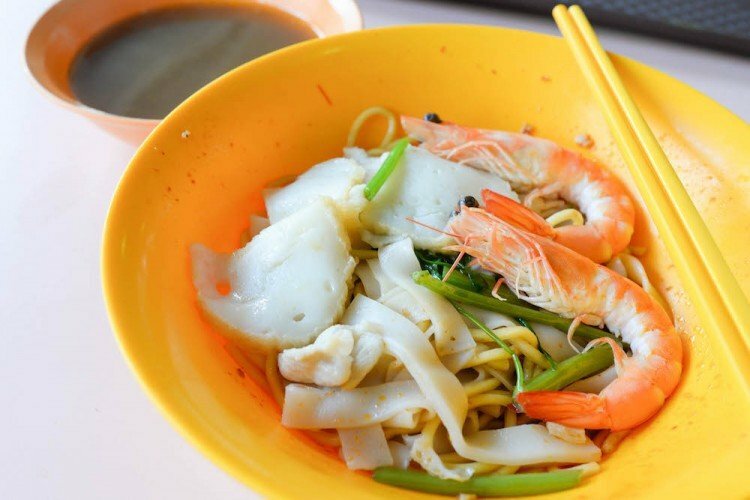 They also cook their noodles to just the right firmness – not too soggy and not undercooked either, and their prawns are sweet and fresh. I had Min Nan awhile back but could not remember where it was. Imagine my surprise when I found the stall while doing this guide! The noodles had a nice lard flavour, but what I like is their light and delicate broth here, and also how they peel the prawns, leaving only the head for presentation, maybe. The pork ribs do not fall behind either – they are incredibly tasty, meaty and very tender. 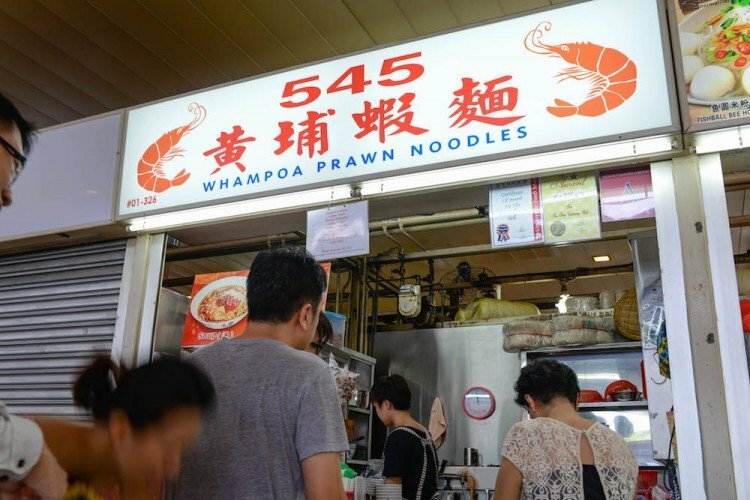 Far up in the north is this prawn noodle stall, which actually shifted around a few times before settling down at Ang Mo Kio. Similar to its location, the recipe has changed quite a bit over the years, each better than the next. 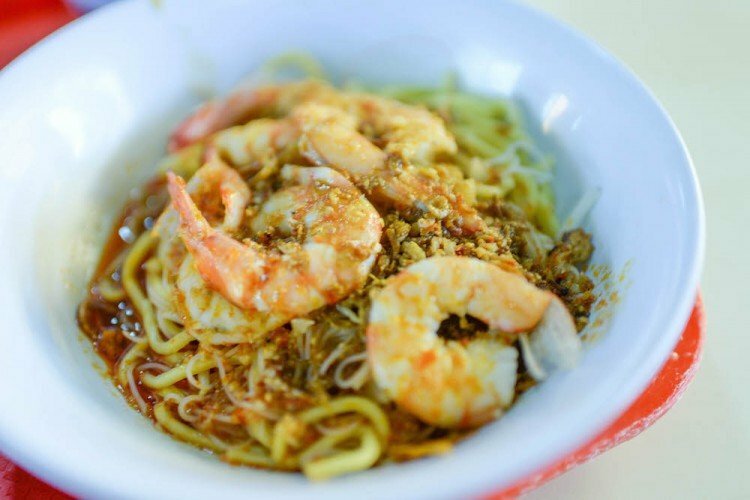 The prawns were nice and fresh, noodles were average, but the addition of the fried shallots made the dish quite fragrant. 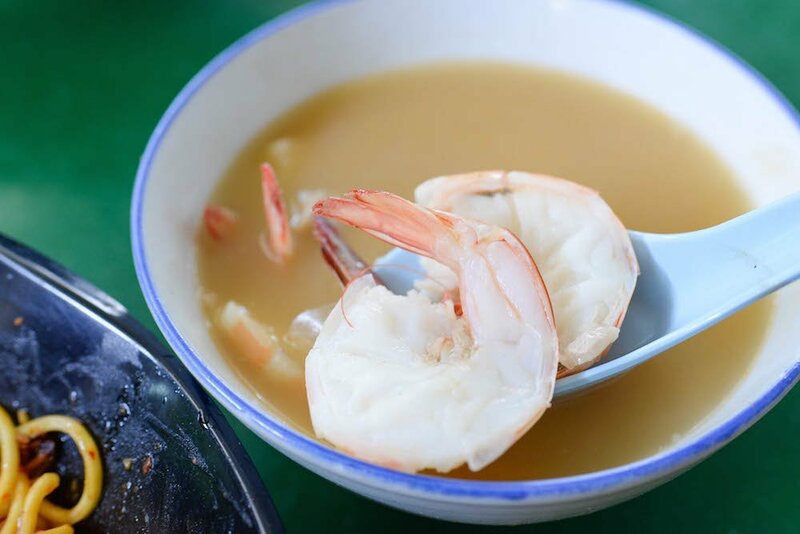 The soup is unique though – it uses black sugarcane instead of rock sugar for natural sweetness. The result? An incredibly addictive and tasty soup, which went into my mouth spoonful after spoonful. I love how the soup had this almost creamy taste, which balanced the usual, savoury taste of this dish’s soup. I got the cheapest bowl, the $6 one, which had lovely, sweet medium sized prawns. That was already satisfying for me, but if you decide to treat yourself, go for their more expensive bowls that serve up large sea prawns. Also, order the dry version here for that tasty sambal chilli!